(NaturalNews) We all know that genetically modified organisms (GMOs) have not been proven safe based on the fact that there are no long-term studies on the health affects of GMOs or their associated pesticides. However, many skeptics insist that, because there are few studies showing harm from GMOs and the U.S. Food and Drug Administration (FDA) has approved them, they're safe to eat. Unfortunately, product approval under the FDA is not the best gauge for what's healthy and what's not due to an agenda that's been infiltrated by corporate interests and their political allies. That being said, the most logical way to protect those who wish to avoid GMOs is to enforce GMO labeling, a concept that's snowballed in awareness as well as political action in recent times. For the food industry, labeling is not a difficult task, nor would it cost consumers an extra $500 a month in groceries, as was falsely and fraudulently claimed by Big Food when California tried to pass GMO labeling in 2012. Food companies change labels all the time. In fact, they have NO problem adding the meaningless "all-natural" label to products in an attempt to trick health-conscious buyers wishing to avoid GMOs. One Natural News reader named "Gearjam" nailed it spot on when they commented on an article saying: "Funny how [it's] too expensive for them to change their labels to GMO free to do good but not too expensive to change labels to organic to do evil." Big Food is fully aware that a GMO label will likely hurt their sales; however, at this point in the game, so much awareness has been generated on this issue that refusing to label GMOs has brought even more negative attention to companies like Starbucks, PepsiCo, Coca-Cola, General Mills and Kraft Foods. 7. A single serving of genetically engineered soy can result in horizontal gene transfer, where the bacteria in the human gut adopts the soy's DNA. 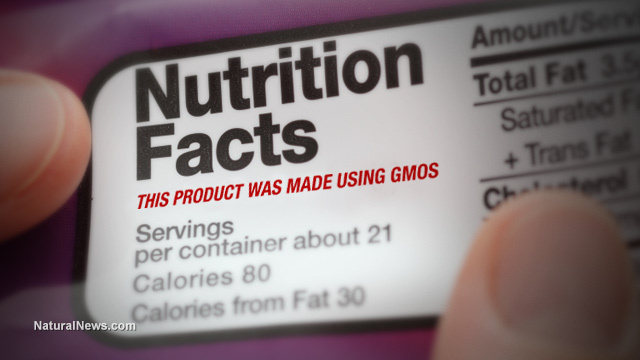 To date, more than 70 GMO-labeling proposals have been introduced in over 30 states, with Rhode Island being the latest state to pitch such legislation. According to the polls, more than 90 percent of Americans want GMOs labeled, giving the movement so much momentum that it's unlikely to be stopped.